At some point in your life, you’ve probably heard that eating slower will help you lose weight. Have you ever wondered if there’s any truth to this? Well, a new study in the BMJ Open finds that people who eat slowly tend to weigh less. Not only that, but slowing down your eating speed over time can help you lose weight. Now, while correlation doesn’t always equal causation, it is nice to see a study that focuses on weight loss and eating slower. At Sensational Seasonings, we love to give you tips for living a healthier life! The researchers used data from 60,000 individuals with diabetes over the course of six years. Over these years, study participants were asked about their lifestyle habits, like how fast they tended to eat, alcohol use, and sleep patterns. They were also asked whether they were in the habit of eating dinner within two hours of going to bed at night and if they snack after dinner. Further research was done on breakfast habits as well. The odds of being substantially overweight were linked to all of the food-related behaviors. 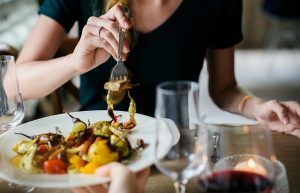 The speed at which the participants ate had a sizable effect – people who ate at a normal speed were 29% less likely to be obese than people who ate quickly. Furthermore, people who ate slowly than normal had a 42% lower chance of being obese. Lastly, people who slowed their speed of eating, over time, tended to gradually lose weight, as measured by BMI and waist circumference. However, one problem with the study is that it wasn’t a controlled experiment. Meaning, participants weren’t randomly assigned to different groups and asked to eat at different rates. Instead, it was an observational study, which tried to capture natural eating habits and changes over time. Because people are not always great at remembering their own habits or reporting on them accurately, this type of study doesn’t completely prove causation. With that said, at least the results match previous studies, which have shown that ‘faster eaters’ tend to weigh more and/or gain weight over time. Hormones can also come into play with all of this. Specifically, the hormones responsible for our feeling of fullness and tell us to stop eating. 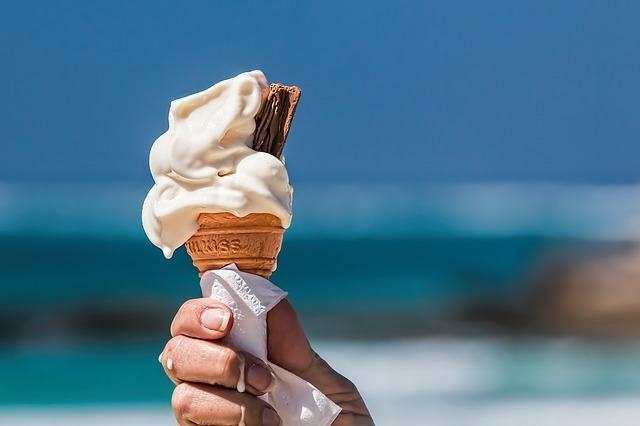 In one study, when people were told to eat ice cream more slowly. More of their gut hormones were secreted and the people reported feeling fuller, compared to those told to eat faster. The time that we eat our meals is the other takeaway from this new research. Studies have repeatedly shown that ‘when we eat’ is nearly as important as ‘what we eat’. If true, that’s big news and another habit that we may be able to easily change. People in the study who ate late at night, versus those who finished dinner several hours before bedtime were shown to have a greater risk for metabolic syndrome and be overweight. The benefits of eating breakfast were also supported by the current study. “Skipping breakfast has also been shown to be associated with excess weight and obesity, and is a risk factor of metabolic syndrome,” the authors write. “Our…model revealed that consistently eating breakfast can reduce obesity, which also corroborates the findings of previous studies.” So a healthy morning meal may be just the thing you need if your trying shed a few pounds or even just hold steady.